We urgently need written responses from local residents by the end of the next week (by Friday 26th April) as we go through the process of registering the fields around Lye Green as an Asset of Community Value (ACV). The urgency is as a result of the revised Timetable for the Emerging Local Plan about to be formally adopted on 29th April by the Council. We need eight weeks to get our ACV registered/considered before the end of any Plan consultation period and ideally before its publication. To support the ACV we urgently need as much evidence from the community as possible. A member of the BNG Team has drafted his own Statutory Declaration and about 60 photographs but the support of others in the community is vital to our success. “hiking/rambling, dog walking, bird watching, jogging, and general outdoor exercise but that use has also included observing nature and local wildlife with family and children, kite flying, practicing for Duke of Edinburgh expeditions and socialising with like-minded people from the immediate neighbourhood”. We will be claiming these uses have taken place not just on the public footpaths but also on the many other well-trodden tracks around most of the boundaries and through the woods. Most of these can be seen from space using Google Earth! Ideally, those who have lived in the area for more than 20 years would provide the most persuasive evidence because twenty years' use grants “rights of prescription” to that user. NB: This is especially relevant to any local person who has installed a rear gate on their property that affords them direct access to the land that the landowner has never complained about. We have counted about eighteen such gates around the field! However, we also need anyone who can attest to the unrestrained use of the land by themselves or the public regardless of how long they have lived here or whether their house borders the site or not. “from my kitchen window/garden I regularly see families playing with kites on the field, people walking their dogs and I have seen numerous camping / DoE expeditions over the years… I would estimate that I see dog walking across the field every day, whereas children tend to be in the warmer months and particularly at the weekends…. Family events happen across the year but especially in the warmer months…. I remember specifically when… …. “or “I have lived here for 30 years and through that time…” etc. We also need to know if anyone has ever had any complaint from the landowner(s) asking them to get off the land. Have the Landowners taken action against anyone using the land on areas away from the public footpaths? that they have observed many others using the land for however long they have lived here. We will not be submitting a copy of anyone’s statement/letter to the Council without confirming via legal advice that there can be no complaint of trespass brought against any individual. NB: People living here less than 20 years should only affirm what they have seen other unnamed people doing. WE WOULD REALLY LIKE THESE ASAP or by the end of next week if possible (Friday 26 April). 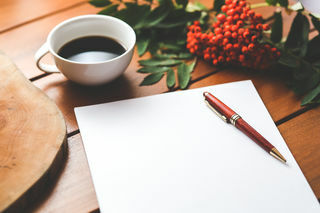 If YOU WOULD LIKE GUIDANCE NOTES ON HOW TO WRITE A LETTER OR MAKE A STATEMENT OF TRUTH IN SUPPORT OF THIS APPLICATION PLEASE CONTACT US THROUGH THE WEBSITE. Thanks very much in advance for your prompt action. This may well be a key opportunity in our fight to save the Green Bet around Lye Green being developed. It has been bought to the attention of Brown Not Green (BNG) that, aside from various types of wildlife and endangered species of birds that have been observed at the 150 acres of land at Lye Green site that the Council are earmarking for development, Badger Setts have recently been found nearby too. 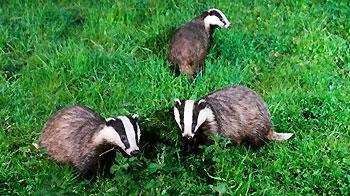 Badger activity has been observed in the area recently and at least one dead badger has been found in the road nearby. Badgers are protected and accordingly we will refrain from identifying the exact location of the Setts to avoid them being disturbed further but worryingly some BNG supporters have also reported that it appears as if someone has recently attempted to fill in one of the entrances to at least one of the Setts. This is unlawful and contrary to the Protection of Badgers Act 1992 under which it is an offence to: ”Willfully kill, injure or take a badger (or attempt to do so)…or to... disturb a badger when it is occupying a sett”. that they might ask the person what they are doing and why. Note the date, time and any other information. Report their findings via the BNG website. We will pass the information on to the appropriate authorities. Since our last newsletter, Chiltern and South Bucks District Councils have issued a “Call for Sites” asking local people to identify sites within both districts that may have the potential for development over the Local Plan period, up to 2036. This 'Call for Sites' exercise will run from 3 December 2018 to 14 January 2019 and will be used to update the Council's Strategic Housing and Economic Land Availability Assessment (SHLAA), which will be part of the evidence base for the new Local Plan. We would therefore invite landowners, agents or potential developers to put forward sites for consideration which might have potential for contributing towards Chiltern and South Bucks’ future needs for housing, specialist housing such as for older people .... employment uses, town centre uses, community facilities, mixed use developments, sport and recreation, no specific use, or other development uses where there is considered to be a specific or general need or opportunity over the period to 2036. The Councils' Call for Sites web page can be found here. BNG are hopeful that as well as bringing their SHLAA up-to-date that perhaps the Council have realised that they may have jumped the gun in considering Green Belt sites for housing development before fully exploring all other options first. The BNG Team are aware of Brownfield sites and contaminated sites within the Greenbelt that were not considered by the Council when they originally embarked on the Draft Local Plan (2014-2016). Examples are a seven acre site that could easily accommodate dozens of dwellings that has had planning refused. Another current site laboriously held up in the delayed planning process but available now could accommodate 90-plus dwellings. Neither site would impact valued Greenbelt. The BNG Team believe there are other potential sites within the two districts that have not yet been considered or have been overlooked by the Council that could contribute to the Districts’ housing need. If you, or anyone you know, are aware of any such sites please send them through to us here at BNG with a map clearly identifying the boundary. You do not need to be the landowner but ideally should provide information and the views of the landowner. Allocations for any type of land use will be considered. There is no minimum (or maximum) size of site at this stage. The housing Land Availability Assessment will consider all sites and broad locations capable of delivering five or more dwellings, or economic development on sites of 0.25ha (or 500m2 of floor space) and above. ​If you are the landowner, you should complete the Site Nomination Form and send this directly to the Council but also informing BNG; otherwise send your site nominations through to us. It is worth being fairly open-minded about what land can be used for. For example, land that may be useful for industry but not residential should be considered. By taking Industry out of Chesham, we free up space for residential in the town centre. We should consider all unused sites in South Bucks & Chiltern Districts. It is better to put sites forward and have them refused than not put sites forward at all. As The Brown Not Green Campaign enters into its third year of existence, the BNG Team, would like to thank everyone for their continued support and wish everyone a very Merry Christmas and a Happy New Year. It has been almost a full four months since you last heard from Brown Not Green and although the BNG Campaign team have been busy it appears that Chiltern & South Bucks District Councils have made no progress with the Draft Local Plan, as there have been no further changes to the Council Local Plan website since March. BNG have not been able to receive a definitive answer from any Council representatives as to the reasons for or the length of the delay but we will keep on asking as the uncertainty and blight that is being forced on those that live in the vicinity of Lye Green is still causing much distress. It had been thought that with the threat of Chiltern and District Councils being absorbed into one new unitary authority for the whole of Bucks from April 2020 that the district Planning Departments had just given up. Following the formal announcement by the Secretary of State that a unitary authority would be the way forward for Bucks, it is now even more important that Chiltern & South Bucks expedite a Local Plan as this together with the already agreed Plans in Aylesbury & Wycombe will collectively form the Plan for the new Unitary Authority for Buckinghamshire. 1. Would a single unitary invalidate the districts’ area plans? No, although it may be preferable to join them together over time. 2. What will happen to our Local Plan; will this be a wasted effort with a new unitary council? Will we have to engage in the process again unnecessarily? We have sought confirmation of all this from our MP which is awaited. It should be business as usual but it isn’t as we still await our new Local Plan. It is very important to realise that the new Unitary Proposal does not mean the threat to our Green Belt and the wider town has now gone away. It is even more important that we work with the Chiltern Planning Department to put the right solutions forward to protect Chesham’s Green Belt and Environment as we move into the new regime. In the meantime the BNG team has had a Consultation with our Barrister having presented her with a comprehensive legal brief a couple of months ago. 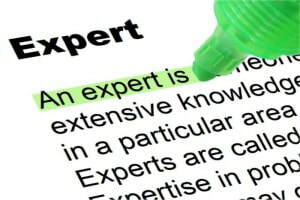 The Barrister feels we have a strong case and has given us good advice on where we need to add solid evidence of important material planning considerations we have already raised with the Council. BNG will shortly be retaining Expert Consultants with a view to putting together professional opinions that will provide supporting evidence rebuttable to the Council’s flawed plans to take the fields around Lye Green out of the Green Belt. If you, or anyone you know, is a qualified expert or professional in any of these fields above and have the time to help the BNG Campaign, we would very much like to hear from you. Any help you can offer will be very much appreciated. Please contact us through the BNG website. As stated earlier, this delay from the Council is helping no-one and just brings unnecessary uncertainty into local residents’ lives. Before we all lose heart it is worth repeating a point made in our last newsletter, the new National Planning Policy Framework (NPPF2) published earlier this year affords greater protection to our Green Belt than when all of this started a few years ago. The Council is no nearer demonstrating any exceptional circumstances required to modify our Green Belt boundaries and so as far as the BNG Campaign goes, we are in good shape. ​BNG have just heard that another new strip of Green Belt and Area of Outstanding Natural Beauty is under threat of development. This is in addition to the ongoing threat of 900 homes on the Green Belt to the North-East of Chesham in Lye Green. The new application site is located to the North-West of Chesham. More precisely, to the South-West of Chess Vale Bowling Club on Asheridge Road, bordering on Darvell Drive. Worryingly, the Developer's Planning Statement uses as justification for building on this Green Belt site the fact that the Council is considering removing Green Belt status from the Lye Green Site to build 900 homes. (Ref: Pg 29 Para 8.34). Without wishing to sound alarmist regarding this justification, the proposal for the 900 homes on the Lye Green site may become the thin edge of the wedge for the rest of the Green Belt and AONB around Chesham which is already one of the largest settlements within Chiltern District. Certainly the impression given is that it can do little harm to cram more houses into the already overburdened Chesham area. Despite being a narrow road, over the previous two decades, Asheridge Road has had more than its fair share of new houses causing traffic and parking challenges for the local residents. This development will just add to this pressure build-up despite the Developer's naive claims of sustainable transport into Chesham. The Consultation closes on Tuesday 5th June (probably 5pm). We need to send a strong message to the Council that it is not open season on the Green Belt around Chesham. It is no more right to build 99 homes on this Asheridge plot as it is to build 900 homes up at Lye Green. If you have the time over the next ten days to put in a quick objection, this will help get this message across. In your objection, only refer to the Asheridge site so as not to muddy the water. A brief objection is better than no objection at all. The most painless way to object is to register on the Planning Portal and fill in the online Comments form. It really is quick & easy and it will even remember your details for next time you wish to object to any planning applications! My objection took only fifteen minutes to complete. As Chesham residents, we all have a duty to protect the Green Belt all the way around Chesham not just our immediate neighbourhoods. Developers and other organisations are beginning to swarm around this precious land to meet their own aims with scant regard to the protection of the Green Belt. We hope you can find the time to submit your objection. Please also share this with your friends, family and colleagues. Congratulations to all our supporters as we surpassed our fundraising target of £20,000 in April. We are still leaving all the fundraising channels open and will continue to request funds so that we can exceed the original target as surplus legal funds will be required for this lengthy campaign as matters continue to be delayed and fresh issues are likely to arise..
And lengthy this campaign will be as recently the Council has announced again that the publication date for the Local Plan has once more been pushed back and will not be issued this Summer as they had previously indicated. This time, they have not given a new date for publication but it is anticipated to be in the Autumn now. As frustrating as this delay is for all of us, cloaking Chesham in a cloud of uncertainty, BNG are still working away behind the scenes. We are putting together our evidence base to present to the barrister to formulate a solid legal case. The next stage that the BNG community will face arises when the Local Plan does eventually get published. We will all have six weeks to put in our personal submissions/objections. The consultation will ask quite technical points and for many people, guidance will be required. BNG are preparing to help our followers on this. BNG together with our retained barrister from Landmark Chambers will be putting together a guide on to how to respond to the Local Plan within the time frame. To receive this guide, you need to be on our mailing list. Sign up here. In the meantime, there are still ways to keep our campaign alive. We have a new Secretary of State the Rt Hon James Brokenshire MP, replacing the Rt Hon Sajid Javid MP who many of you will have already written to. Nothing will help Mr Brokenshire settle into the nature and demands of his new role than receiving a number of handwritten (or typed) letters (rather than emails) asking him if he will continue with policies to protect the Green Belt outlined in the new draft National Planning Policy Framework. Read Phillip Plato's summary of the key points of the new draft National Planning Policy Framework (NPPF). The new NPPF bodes well for our cause adding further protections for the Green Belt. Certainly, our local Councillors also need reminding that this threat of building on the Green Belt and overloading Chesham’s infrastructure has not gone away. More written letters to them will let them know where you, the voters, stand on this topic. Even if you have already written to them in the past, please write again and ask them what they are doing to protect the Green Belt and to improve Chesham's infrastructure. Postal addresses and advice on writing letters can be found on our How to Lobby page. ​Do NOT assume the lack of news means we have been successful! We were always advised this campaign will be a marathon, not a sprint. Our fundraising efforts have gone into over-drive mode over the last few weeks and we have made great headway raising in excess of £17k. Thanks to all those that have contributed. As you probably know by now we are raising funds to retain a specialist Planning Barrister. She is Sasha Blackmore of Landmark Chambers, who are very highly-ranked specialists in Planning Law. We will use them to pick apart the Council's case for building on the Green Belt. Phillip Plato, the BNG Chair, has been out and about on speaking engagements in residents' homes and the Black Cat Pub on Lycrome Road. The latest stage of his "tour" is at the White Hill Centre, tonight, Monday 12th February at 7.30pm. If you haven't had the chance to attend one of our meetings so far, this will be the final chance on this leg of the tour. Here you will get the latest up-to-date information on our battle to protect the Green Belt around Chesham and ease the strain on our Town's infrastructure. This may be the the last BNG speaking engagement for a while but this is by no means the end of our fundraising efforts. 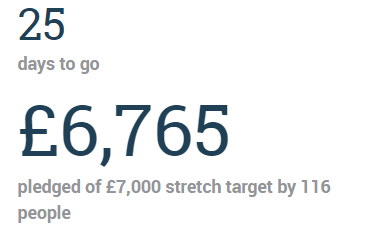 Although we are getting close to our target of £20k, It should be noted that this is a minimum target to justify retaining a Planning Barrister and our aim should be to exceed it. To that end we are still asking all those that haven't donated yet to consider helping now in any way they can to help reach our target. With the Council's "direction of travel" if we do nothing, Chesham will end up with an extra 900 houses on the Green Belt at the top of the hill. By raising funds to fight this proposal, we can dramatically reduce this figure or even prevent it from happening at all. ​Our Crowdjustice campaign has just 14 days to run by which time it will no longer be possible to pledge money this way. If you have been thinking about donating but not got round to it, now is the time to do so. If you would rather donate by cheque or BACS, please visit our Fundraising page for further instruction. We will also be able to accept cash donations at White Hill tonight. The BNG Directors firmly believe this is a cause worth fighting for. Between them they have personally put in a third of the monies raised so far. They have put their own money where their mouth is. We would like to offer a heartfelt thanks to everyone who has contributed. From those donating four figure sums to the pensioner in their 70s who was sorry that they could only contribute £5. You have all played your part. Thank you. Hopefully see you at the White Hill Centre tonight.